Nissan announces U.S. pricing for 2019 Sentra. https://t.co/5fyzzXBG3b pic.twitter.com/RClofpfSOj— Nissan (@NissanUSA) August 14, 2018 Springfield, MA drivers are not going to want to miss out on an opportunity to purchase or lease a 2019 Nissan Sentra. The Sentra features new driver assistance technologies such as available Intelligent Cruise Control, and Automatic Emergency Braking…. Shop Balise Nissan of West Springfield and Save on All 2018 Models Before They're Gone! Can't Decide Between a 2018 Nissan Rogue or a 2018 Nissan Pathfinder? We Can Help! Can't Decide Between a Nissan SUV or Truck? We Can Help! 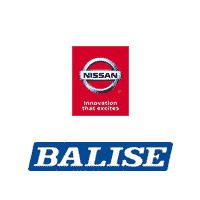 Why Buy a Used Car From Balise Nissan of West Springfield? Summer's here! Service Your Vehicle Today! Can't Decide Whether a Nissan Sedan or SUV is Right for You? We Can Help! Explore Our New Vehicle Inventory and Find the Nissan of Your Dreams Today!